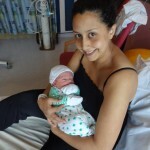 Shahnaz’s story really sums up for me the unpredictability of labour and birth – waiting at home, visiting hospital only to get sent home again, more waiting (all of which is incredibly painful despite not being in “established labour”!!) and then all of a sudden you’re in a birthing pool and having a water birth! Thank you so much for your lovely story, Shahnaz. I was 39+5 when my contractions started, I was in bed and it started with mild period pains at around 4.00am on the Friday (I had done lots of cleaning that day, not on purpose I’m just a clean freak!) and they carried on right through that whole day. I went into hospital at midday but got sent home as I was only 2cm. I then stayed at home in bed most of that day in lots of pain and at 3am Saturday morning I dragged my partner out of bed and drove to the hospital at which point I was still only 2cm! I couldn’t believe it. I was in so much pain! We went back home and I TRIED to sleep but kept waking up every 5 minutes to a contraction, which was so tiring. My dad drove us there with his “shortcut” which was extra long with lots of speed bumps! I got examined around 3.00pm and I was now 5cm! I asked for a water birth and it was luckily free as it was quiet in the birthing suite. I got into the water at 3.30pm, which was amazing, I highly recommend! My gorgeous baby boy was born at 8.30pm weighing 7lbs 6! Did you have a water birth? How did you find it?! 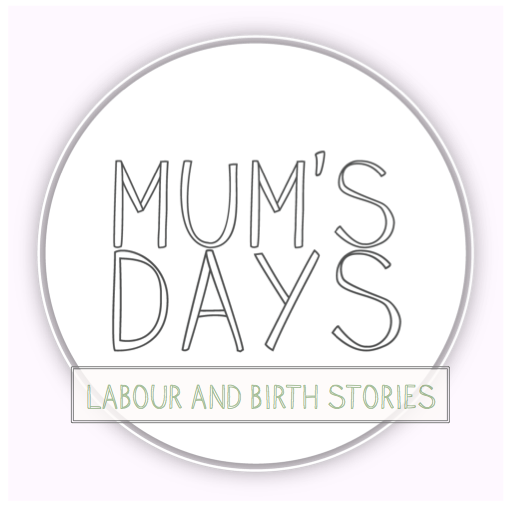 If you would like to share you birth story please either email me (mumsdays@gmail.com) or message me through the Mum’s Days Facebook page.